There are different card types depending on whether you are setting up basic Twitter Cards on an ongoing basis by adding some simple information to your website, or creating more advanced one-off cards through Twitter’s advertising functionality. By adding some special information to your website – a once-only job – you can take advantage of certain types of Twitter Card that will be automatically used on an ongoing basis whenever content from your website is shared on Twitter. I’ll show you exactly how to do this below. For the vast majority of people, the choice of which type of card to use for this is simple. It will be the Summary Card, or the same but with a large image. That’s it. We’ll touch briefly on a couple of other card options, but they are only relevant if you develop mobile apps or provide a media streaming service. Probably not the majority of people. 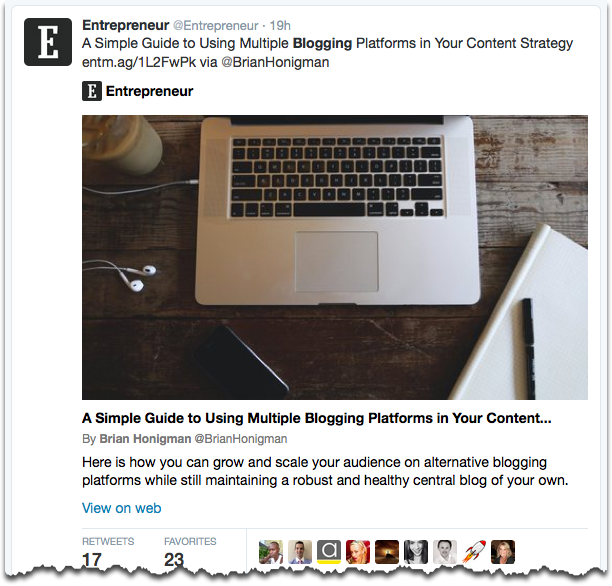 Assuming there is a link in your Tweet, the Summary Card provides a preview of content to the reader before they click through. If there’s an image on the page, a thumbnail will be provided. So, which one to choose, little or large? There’s no right answer. It’s all about testing different approaches for your own audience. But, if you’re using a Featured Image with each blog post as recommended in the blueprint, and repeating your headline within that image (see our own Featured Image above), it makes sense to take maximum advantage of that and go with the Large Image card. Only relevant if you’re a developer of mobile apps, can help drive installs of the app, providing for name, description, icon and you can also bring in attributes such as rating and pricing information. Allows videos and audio to be used within timeline, only relevant if you’re providing audio and/or video streaming services. Further card types are available via Twitter’s advertising functionality. These are cards you create directly on Twitter (rather than created for you automatically, as in the Basic Card Types above), and that you can then attach to any Tweet. And yes, these are all available for you to use for free. As with the basic cards, there are again mainly two types of these advanced cards that will be of interest to most business owners. These are the Lead Generation and Website cards. The other two are only relevant if you’re a mobile app developer, so of little interest to most people and will be touched on only briefly here. If you want to scale things up, as with any Tweet, Tweets using these cards can be promoted to whole new audiences on Twitter. That makes these cards particularly powerful. Twitter’s Lead Generation Card allow you to make an offer to followers who can then easily express their interest in your offer by leaving you their name, @username and email address. Opting in is just a click of a button away. Because the reader’s details are already available within Twitter, there’s no form to fill in. Their information is sent to you as soon as they click the button provided. 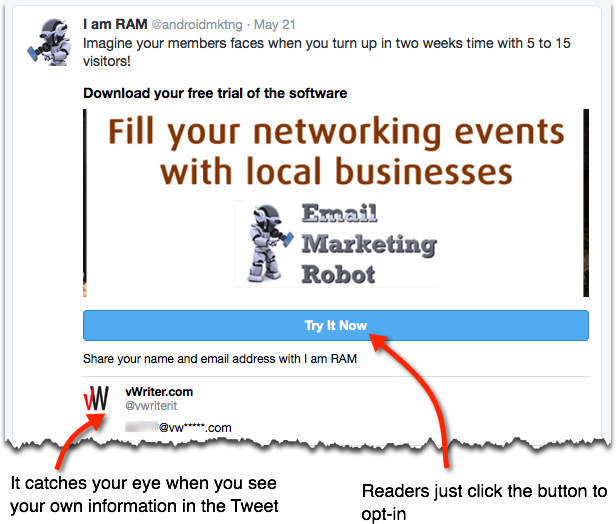 You can choose to either download your new leads from your Twitter Ads account. Or (and I’m all for automating tasks wherever possible!) you can specify for the information to be sent programmatically to your email marketing software for example. With the latter of course, with the lead immediately and automatically added into your email marketing database, you can follow up with them as soon as they subscribe. The Website Card invites followers to visit your website. The card provides a quick summary, a link to your site, and an appropriate call to action button. This is largely a paid version of the free App Card (see above), to push your app in front of people other than your own audience. The Image App Card is the same as the Basic App Card above, but with an optional image you can upload as well to increase engagement. 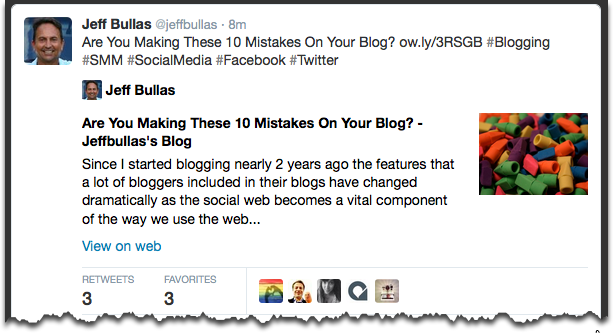 Presuming you’re blogging on the WordPress platform, starting to use Twitter cards is as easy as installing and using a WordPress plugin. Here are a couple of options. Yoast’s SEO plugin gives you everything you need, and is an essential plugin you should have installed on your blog anyway to maximize your search engine visibility. If in doubt, just leave as the Summary option, but if you’re using Featured Images with your blog posts (recommended in the blueprint because of all the additional marketing power it gives you) then select the Summary with large image option for a bigger visual punch. For finer control of Twitter Cards, such as the ability to customize the Twitter Card you use per post as well as a useful Twitter Card preview function, consider installing the JM Twitter Cards plugin. If your blog runs on WordPress.com, rather than your own installation of a WordPress-powered blog, then you’ll find your blog is automatically enabled for Twitter Cards. 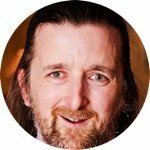 WordPress.com automatically sets the required Twitter Card meta data, and picks the most appropriate card to use based on the post. For blogs running on Blogger, BlogSpot, Tumblr and similar, the only way to install Twitter Cards is to edit the code of your site directly, as outlined below. If you’re not comfortable with this, you’ll need to find a developer who can help you. For example, try Fiverr, freelancer or upwork (formerly oDesk) to find someone who can help, or you may have a developer friend (it’s only a quick job!). But seriously… if your main blog is on WordPress.com, Blogger or Tumblr, please consider moving to your own site where you fully control the content! It’s far more difficult to build up authority and credibility for content on your blog – which you need to do to build online visibility for your business and ‘Be Everywhere’ – when you’re on a shared platform. You can still use Tumblr to support your main blog though, as another channel through which to distribute your content… click here for more info on using Tumblr for your business. This option is of course not as straightforward as using a WordPress plugin, but is easy enough if you are familiar with editing the HTML of your website. It involves simply adding meta tags to the header of your website’s HTML code. The twitter:description and twitter:title tags will differ for each page, and nearly always the twitter:image:src tag as well. The other tags will generally be global for all the pages on your site. The description of the content. This will be used to display the summary in the Twitter Card. 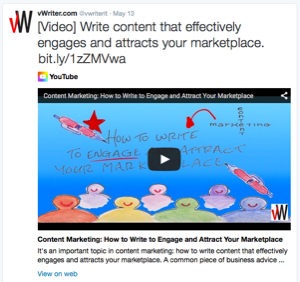 The title of the content, displayed as such in the Twitter Card. The name of the website you want to display with the content. The image to display in the Twitter Card. Normally this will be the same as the twitter:site value, but allows for a different creator to be specified (for example, if the content relates to a guest post from someone else). 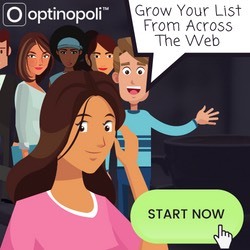 FREE BONUS: For a cheat sheet containing all the tags you need ready to copy and paste, plus Open Graph tags to help you build visibility on other social networks, download a FREE copy of our Social Meta Tags Cheat Sheet. It’s a simple 2-page PDF download, just download now. The advanced Twitter Cards – for example, their Lead Generation and Website Cards – can be created from within Twitter Ads. 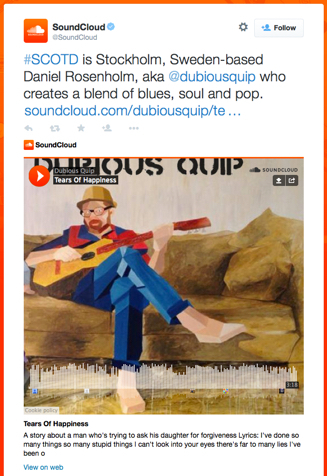 You can then attach a card to any Tweet (and promote it too if you wish). Creating the card itself is straightforward. For the Lead Generation Card, you provide a short description, an image, and a call to action (i.e. the text to use on the button that readers will click to leave you their details). The Website Card is simpler, with just an image, link to your website, headline, and appropriate call to action from the drop-down provided. For both cards, the image is crucial and is a key part of how successful the card will be for you in terms of the response you get. The image should communicate the offer to Twitter users, in other words, the benefits for them in taking action. It should be at least 600px wide with a minimum 4:1 (width:height) aspect ratio. In terms of how to use these cards, you simply attach them to a Tweet when creating it via your Twitter Ads account. 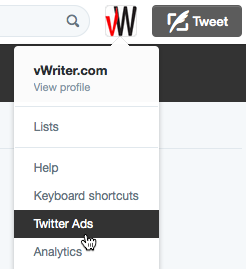 So, click the blue Tweet icon top right (inside Twitter Ads) to create a Tweet. 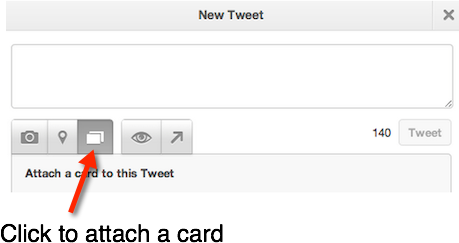 Then click the cards icon to select a card you’ve created and attach it to your Tweet. 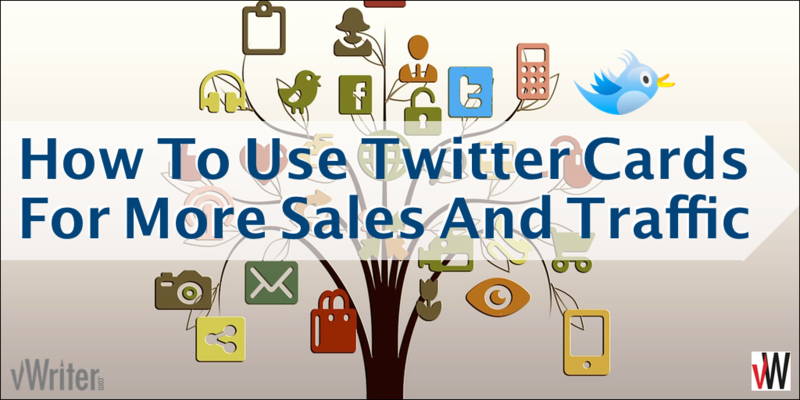 You can promote any of your Tweets by creating a campaign within Twitter Ads. This allows you to push your Tweets – and your marketing message – in front of new audiences on Twitter, way beyond your own followers, and help grow your business further and faster. For marketing purposes, the Lead Generation and Website Cards are certainly well worth testing, and playing around with as necessary until you get a positive return. Once you’ve got it working, scale it up, and you have a whole new channel of traffic, leads and sales for your business. Remember, you can download a free cheat sheet containing all the tags you need for implementing Twitter Cards on your site ready to copy and paste. 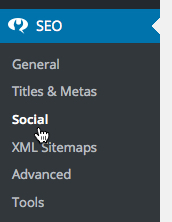 You’ll also find details of Open Graph tags to help you build visibility on other social networks. Download a FREE copy now (simple 2-page PDF).